Call center QA is a broad term that covers all aspects of contact center quality assurance. Typically, call center QA refers to the recording and/or monitoring of customer interactions. This then feeds the process of performance management for associates and modified or enhanced training practices. Many call centers struggle with call center QA because it can be difficult or expensive to implement and tricky to manage if it is not structured properly. Enhancing call center QA is often one of the most effective and efficient ways for a call center to improve operations. There are plenty of different ways that call center Quality Assurance can be managed. Most fall into two buckets- in-house quality assurance and contracted (third party) quality assurance. In house quality assurance refers to a contact center that manages QA solely with its own internal employees. This would mean that there are dedicated call center employees who handle call monitoring, associate performance review, training, and more. This method is common in smaller call centers. In house QA may rely heavily on call center management software to track and manage quality assurance. Call center quality assurance can also be outsourced entirely to a third party. This can include both software services and on-site contracted staff. The benefit of this option is that it allows for a level of expertise that may not be resident in in-house employees. However, this is generally a more costly option. The specific method of call center QA that is right for your organization may vary depending on the size, industry, and requirements of your business. When implementing call center QA, it’s a good idea to explore both options and identify relative costs and pros and cons. Regardless of which method of quality assurance your contact center chooses, it will be important to have a robust and sophisticated call center management software. If you are clear about the best method of call center QA to boost your contact center’s performance, consider contacting the team at Evaluate Quality to help you implement a software solution. Evaluate Quality, founded by Sage Advantage, can help customize a call center quality monitoring software specifically for the unique needs of your business. 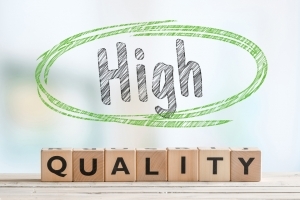 Whether you are in the Phoenix or Scottsdale AZ area or elsewhere in the United States, the experienced team at Evaluate Quality can help provide your organization with a measurable and manageable software program for call center QA. Evaluate Quality is headquartered in the Scottsdale/Phoenix AZ area and has helped many call centers in different industries throughout the US implement call center QA. Contact Evaluate Quality now for your no obligation demonstration of their software solutions.